Each week we hide the “Little Guy” in one of our advertisers print ads. Find him and submit your entry below to become eligible to win our monthly prize! Winner(s) selected randomly from all qualified entries. Enter weekly and increase your chances of our Monthly prize! 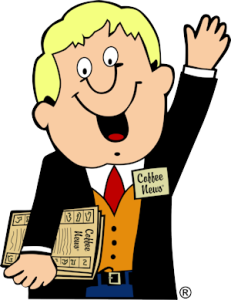 Just another fun feature of your local Coffee News of the Foothills, North Carolina!